For over forty years, since Maurice Duverger coined the expression in 1974, ‘The Republican monarchy’ has no doubt been the most frequently used metaphor for the Fifth Republic. In countless books, essays and articles, the presidential system and all its corollaries –power, pomp and protocol – have been portrayed as a legacy of pre-Revolutionary, absolute monarchy. It is not by accident that yesterday’s ceremony of transfer of power between François Hollande and Emmanuel Macron was spontaneously referred to as ‘enthronement’ (‘intronisation’). It is true that the French presidency is more than a political job description. As pointed out on these pages last December, the capacity of ‘incarnation’ or ‘embodiment’ of the function is a primordial asset among the check-list of qualifications required for the job. (A quality Marine Le Pen worked hard to obtain over years before throwing everything away in a particularly misguided fortnight between the two election rounds). Emmanuel Macron, if only for his age and the narrative of pragmatic, liberal revolutionary he has created from scratch, seems to be predestined to be a different kind of Republican monarch. But unlike other candidates, like Jean-Luc Mélenchon for instance, Macron has never publicly promoted the idea of a Sixth Republic. Not only because he has identified more urgent reforms to carry out, but also because he owes the system a great deal: it is only the hyper-personalised campaign mode of the presidential election that made it possible for him in the first place to overthrow the entire political spectrum in record time without the backing of an established party and a network of local office holders across the country. 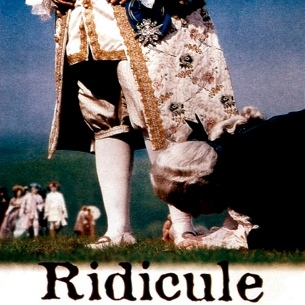 In a full parliamentary democracy like Germany he would hardly have succeeded in achieving a similar upheaval (or ‘coconut shy’, as Laurent Fabius so nicely said yesterday in his official, and yet very personal, proclamation speech). ‘At the same time’ (to use Macron’s favourite conjunctive adverb), he has repeatedly announced that, if elected, he would interpret the presidential function in a very Gaullist manner, situating himself above party politics, defining the overarching political objectives, and letting the prime minister and his government do the nitty-gritty work. That leaves us with an institutional framework, where everything remains in place and the only major factor of change may be the style in which the functions are ‘embodied’. In other words: the manners and behaviour of the president, the frequency and tone with which he addresses his citizens, the kind of personalities he chooses for top positions (starting with his first Prime minister today), the leadership style with which he manages his collaborators, the dignity of his private life. Much has been written over the decades about the behavioural legacy of the court society in contemporary France, and much of it is perfectly pertinent. Whoever took the time to go through Norbert Elias’s painstakingly detailed, seminal analysis of The Court Society dating from the 1930s or Alexis de Tocqueville’s retrospective account of social interaction in L’ancien regime et la revolution (1856) can only be bewildered by the many behaviour patterns shaped in Versailles, which have survived all the disruptions and caesuras since 1789. 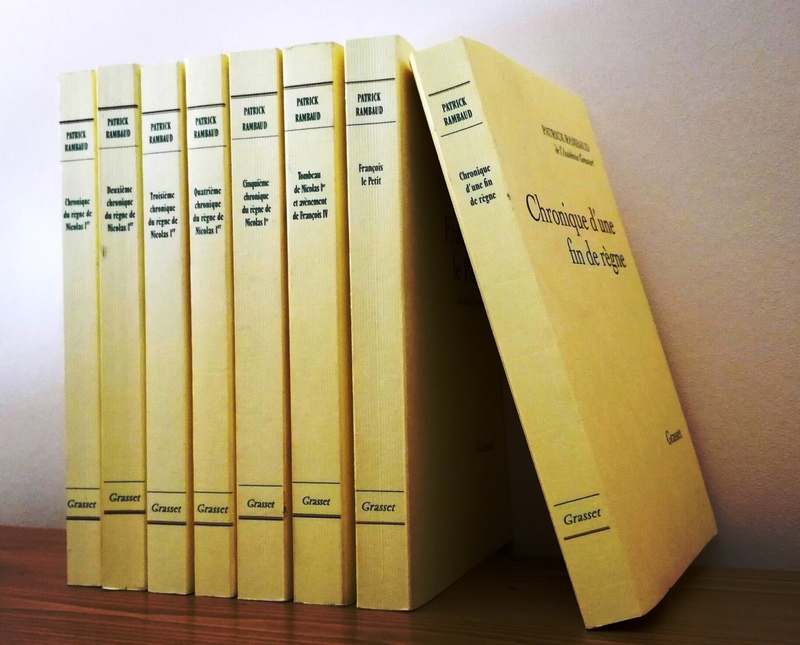 More recently it has become increasingly common to link the persistence of the court ‘habitus’ in French social and political culture to the shortcomings of the Fifth Republic. Former Prime minister Dominique de Villepin theorised, in a quickly drafted, somewhat disappointing little book, about ‘The Court Spirit’, which he considered to be ‘the French malediction’ (2010). 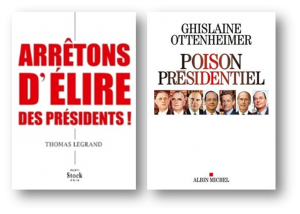 More recently, the renowned political journalists Thomas Legrand and Ghislaine Ottenheimer invested significantly more in-depth field work, only to come to a similar conclusion, shaking their heads in disbelief over the enormous mismatch between what the country needs and what it is stuck with. 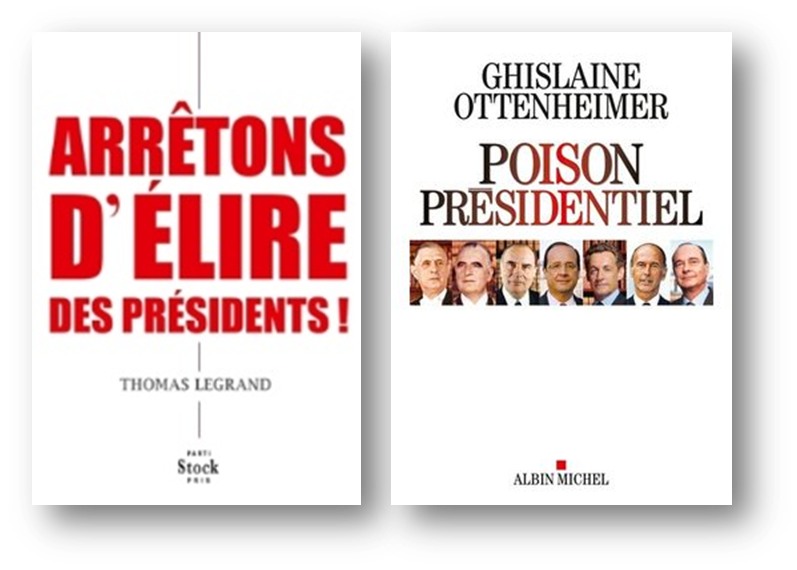 The respective titles of their books nicely sum up their quiet exasperation with the Republican monarchy: ‘Let’s stop electing presidents!’ (2014) for the former; ‘Presidential poison’ (2015) for the latter. Diarists of the court: Saint-Simon and Patrick Rambaud. No one, however, dealt with the phenomenon in a funnier and more revealing manner than Patrick Rambaud. 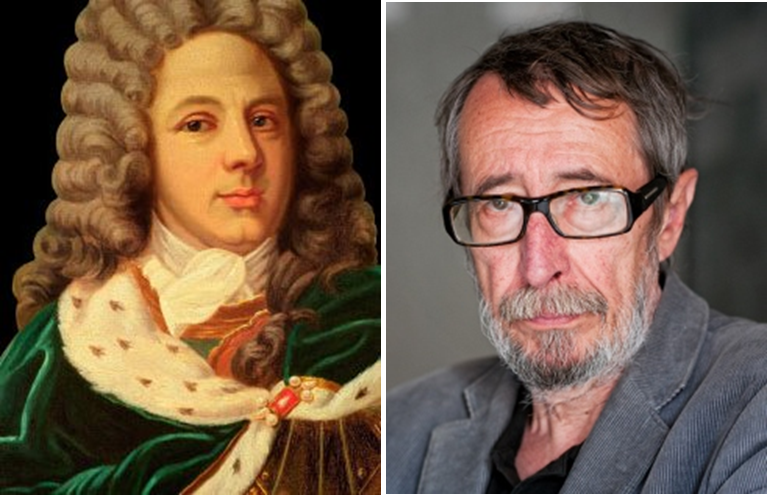 A well-known author, laureate of the Prix Goncourt and accomplished master in pastiche and parody, Rambaud has been the 21st-century ‘chronicler of the court’ since the ‘enthronement’ of King Nicolas I in 2007. What started, according to the author, as a ‘therapy against the depression’ into which Sarkozy’s election had thrown him, finally became a series of a total of eight ferocious, hilarious, and at the same time desperate diaries of the Fifth Republic’s own kind of court decadence, covering the entire two quinquennats of Sarkozy and Hollande. Lovers of classical French literature could take great delight in the wonderful imitation of the Duke of Saint-Simon’s lucid and indiscreet ‘Memoirs on the reign of Louis XIV’; others could simply marvel at the incredible human pettiness of today’s sycophants and toadies humming around his mediocre majesty in the Elysée. 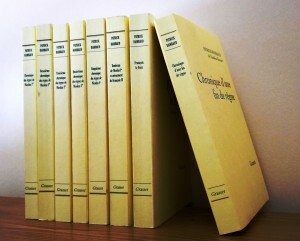 A hilarious series of eight chronicles. Not to be continued. Over ten years Rambaud offered a most welcome cathartic laughter about the ridicule of French democracy and its wildlife populated by cynical spin doctors and vain careerists, dangerous ideologists and ruthless populists, evil corrupters and stupid corrupted (which are of course species for which France may be the best biotope, but of which is certainly does not have a monopoly). Given the remarkable ease with which Emmanuel Macron responded to behavioural expectations during the long ceremonial liturgy yesterday, while bringing a whole new freshness and sincerity to the mandatory coronation rituals, chances are that Patrick Rambaud will have no reason to continue his chronicles. He may even be able to come off his anti-depressants. One of the most interesting aspects of the next quinquennat will thus be to observe whether this atypical, visibly determined president will be able to change the style of the Republican monarchy from within or whether the function will inexorably impose its ‘habitus’ under the weight of tradition, apparatus, and decorum. In other words: will the new King modify the behaviour of the court, or will the court culture, slowly but mercilessly, tame the new King? Style is not nothing. Eliminating the ridicule from the top-tier of French politics was not an official programme point in the electoral platform of En marche! It would, however inject an unexpected new stability into a ramshackle system, and shift the focus away from form to substance, open the minds for renewal. Although non-quantifiable, it would be one of the new monarch’s most outstanding and lasting achievements. This is post # 22 on the French 2017 election marathon. This entry was posted in Current Affairs, Democracy & Citizenship, Global & International, Politics & Public Policy, Society & Culture and tagged Emmanuel Macron, Fifth Republic, France 2017, French elections, French history, French politics. Bookmark the permalink. Next: France 2017: It’s the semantics, stupid!